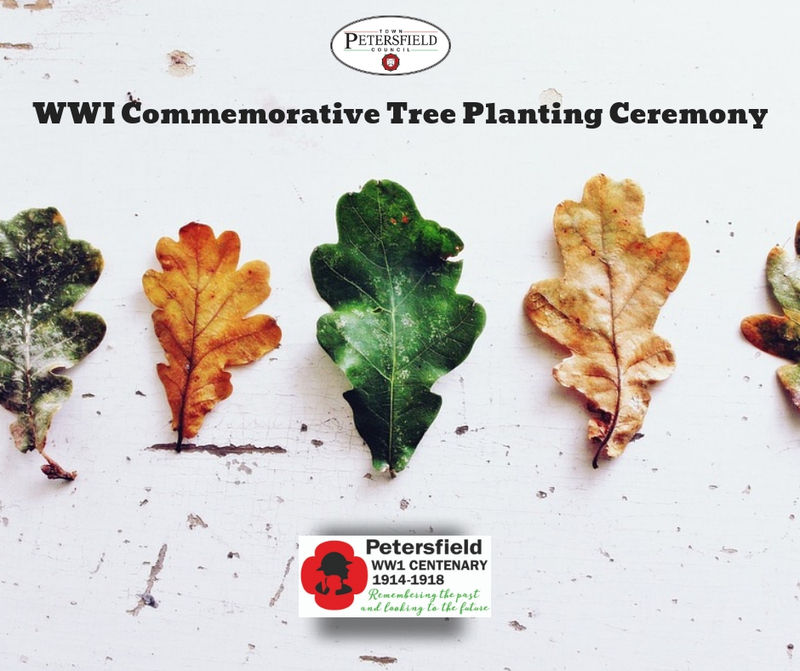 In conjunction with its commemorative WWI activities during 2018, Petersfield Town Council will be holding an Oak tree planting at Love Lane. All council members and public are welcome to attend. The Rt Hon Damian Hinds MP has also been invited to partake as he will already be present for the planting of the Queen’s Commonwealth Canopy Campaign. We hope that this tree in memoria will be the first of several. Please see our event page on facebook for more details and photos when they become available.